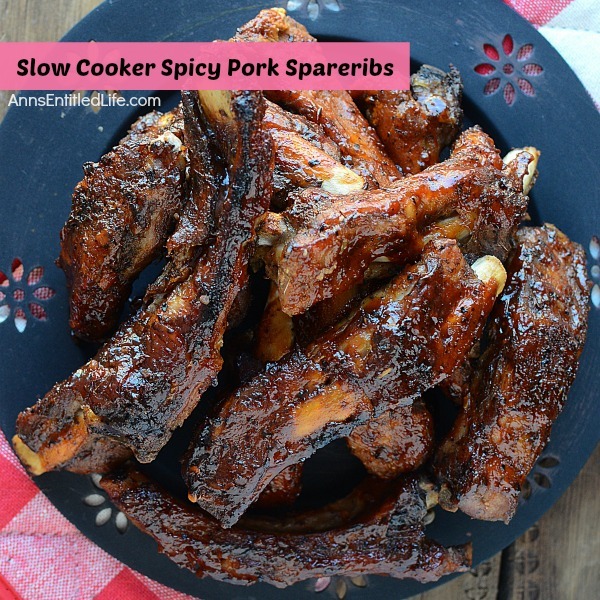 Make these delicious, tender spicy pork spareribs (also called pork side ribs or spares) for dinner tonight using this fabulous slow cooker spicy pork spareribs recipe. Easy to make, these spareribs cook while you are at work. There is nothing better than coming home to dinner ready and waiting for you. • Wash and pat dry the ribs. • Combine all dry seasonings: seasoned salt, pepper, garlic powder, paprika, allspice, thyme, dried chili flakes, in a bowl. 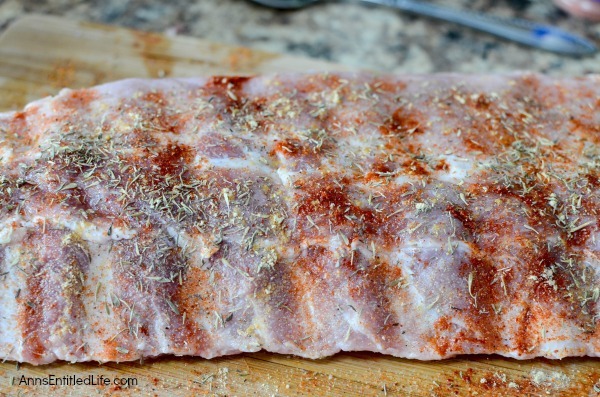 • Rub the seasoning onto the ribs on one side, flip, rub the second side. • With a sharp knife, carefully separate all the ribs and place in a covered bowl, or a sealable plastic bag. • Place a cup of water in the bottom of the slow cooker and carefully lay the marinated ribs so that they are not all laying in the same direction and stuck together. Cross the bones slightly to leave more surface area available for the heat to reach the ribs. • Cook on low for 6 – 7 hours or high for 4 – 5 hours. 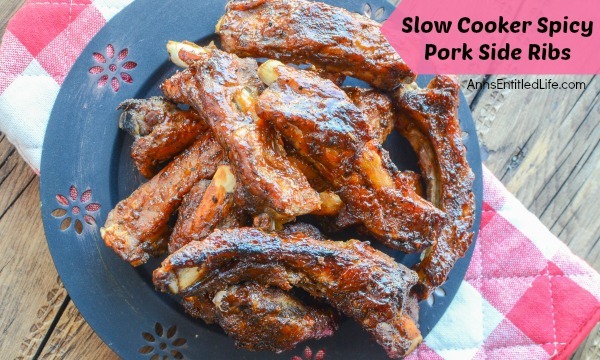 • When spareribs cooking time is complete in the slow cooker, place a wire rack on a baking sheet and lay the spareribs on the rack, meatiest sides up. • Brush the spareribs with the BBQ sauce. • Place the spareribs in the oven on broil for approximately 3 -4 minutes or until the barbecue sauce on the spareribs begin to caramelize. • Remove the spicy pork spareribs from the oven and let rest for 5 minutes. 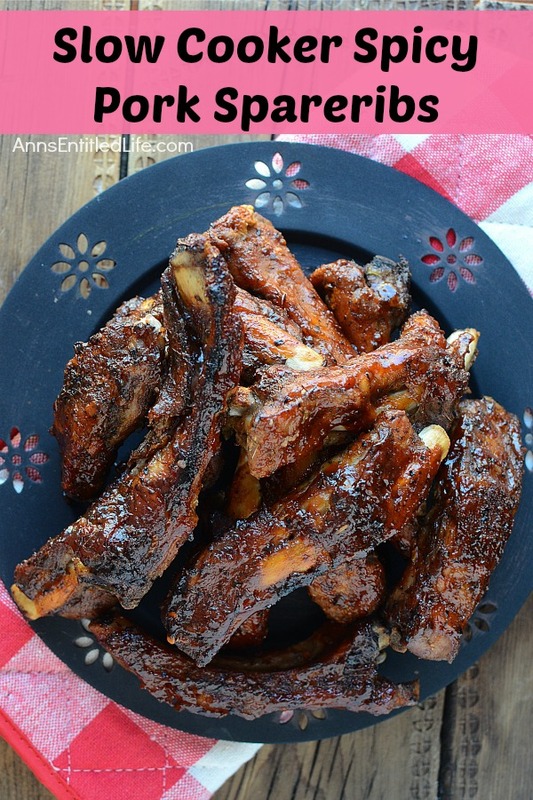 • Spareribs are cut from the end of baby back rubs, further down the side of the pig. Spareribs run all the way down to the breast bone and why sometimes they are referred to as side ribs. • The USDA says a slab of spareribs must have a minimum of 11 bones. 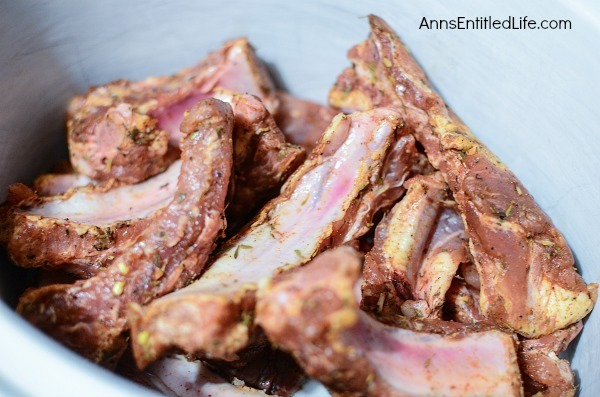 • Place a cup of water in the bottom of a slow cooker and carefully lay the marinated ribs so that they are not all laying in the same direction and stuck together. Cross the bones slightly to leave more surface area available for the heat to reach the ribs. 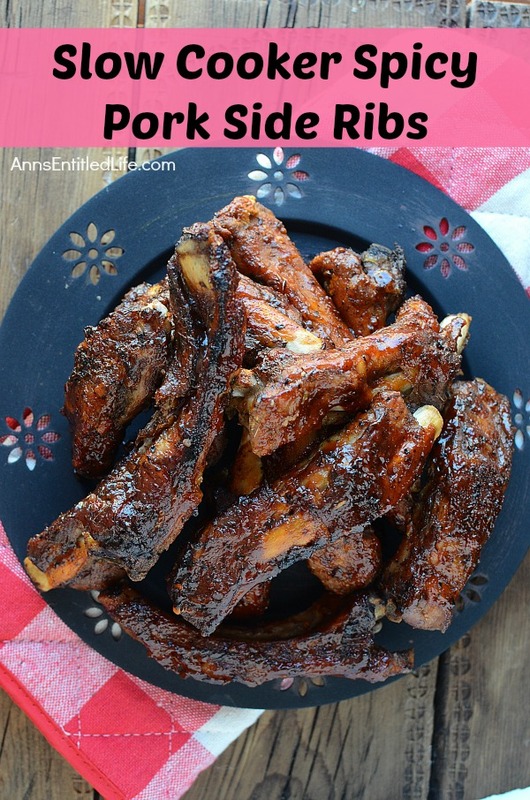 • When spareribs cooking time is complete in the slow cooker, place a wire rack on a sheet pan and lay the spareribs on the wire rack meatiest sides up. • To print the Slow Cooker Spicy Pork Spareribs Recipe, click here.